A New Generation Of Creative And A Look Back On How We Got Here — Goalen Group INC.
We are extremely proud to announce that we have a new President, Matthew James Goalen. Matthew’s promotion to top spot completes our four-year succession plan and positions the company to succeed with a new generation of ideas, passion and energy. Matthew was born and raised in Los Angeles where he grew up around the industry and, at times, participated in his father’s projects. His own career took off when he picked up a camera and started shooting and editing video of world class blade skaters and posted the videos online. He also won an award for a documentary he shot and edited at Santa Monica High School. He further pursued his interest at the University of Santa Cruz getting a degree in Film and Digital Media. During school breaks he interned as a video editor. After graduating he worked in the staging business prepping gear for shows and as an LED technician. He also worked as a setup technician on live events as learned the new technologies that were changing the industry. In 2013, Matt joined our company in a one year trial production coordinator role. Within a year, he was production manager of all projects. In 2017, he designed and produced all company projects including a floating LED ceiling. Matthew has more than surpassed all our expectations and effective today, James Goalen will be stepping down as President and Creative Director of the company to focus on Business Strategy. Jim founded the company in 1984 to better serve corporate clients after working with major AV productions companies in Los Angeles as a creative director. His work included a wide variety of clients including automotive, motorcycles, consumer electronics, computers, software, financial, medical, and more. With Jim’s background in music touring and a degree in film production, the company provided design and production of live events and film. Our first project was for $1500, but we grew steadily through the first three years. Our first big project was a 40-projector slide show that played on a black screen behind Jackson Browne’s “Lives in the Balance” Tour. Our next big project was a dealer event in Seattle at the 5th Avenue theater for a new car manufacturer in America, Hyundai Motor. In 1989, we took a big step forward when we were added to the Warner Bros. and Tim Burton team to help get licensees on board for a little movie called Batman. Working for Tim will always be a major highlight of our company! For the next ten years, we worked for all the major studios, producers and directors to promote movies and television shows. Our work included large scale events in New York and Los Angeles as well as Europe and Asia; retail store openings; behind the scenes videos; fashion shows; whatever we could dream up. We worked with industry giants and young dreamers. It was the second golden age of Hollywood and we loved every minute of it. The 2000 tech crash followed by 9/11 hit our industry hard. Good companies all around us were disappearing. Fortunately, the internet was becoming a real tool and was making it possible to re-design our business model - Lean, mean and mobile became the desired approach. It also helped that we got these new phones with no wires attached. And, the new millennium ushered in a new direction for us. We secured a client who was looking to upgrade their meeting and events. Their President told me they presented themselves like a 1950’s Aerospace company. We took on the challenge and they supported us 100 percent. 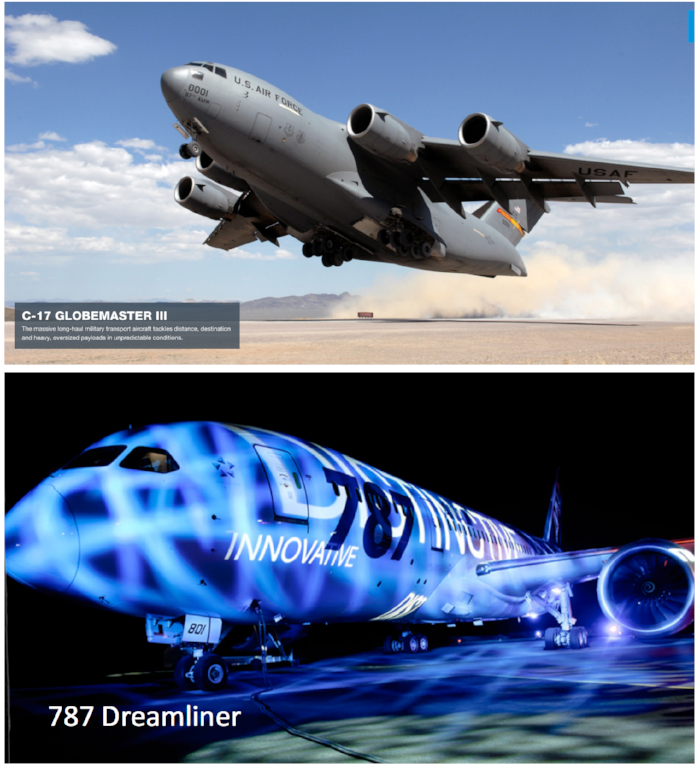 We continue to work with Boeing and in those 16 years they have taken us all over the world... to air shows, to Shuttle launches, to flying us in a C-17 and more. And they even let us dress up their new product! Boeing taught us so much about loyalty, integrity and teamwork. It is now a big part of our culture. We continue to have long term relationships with our suppliers and partners. And although we say this with much sadness for not having solved the problem, we have been supporting the same charity, People Assisting The Homeless (PATH) since our inception. Our new President is loaded with all of it. Congratulations Matthew! Our company future looks so bright….